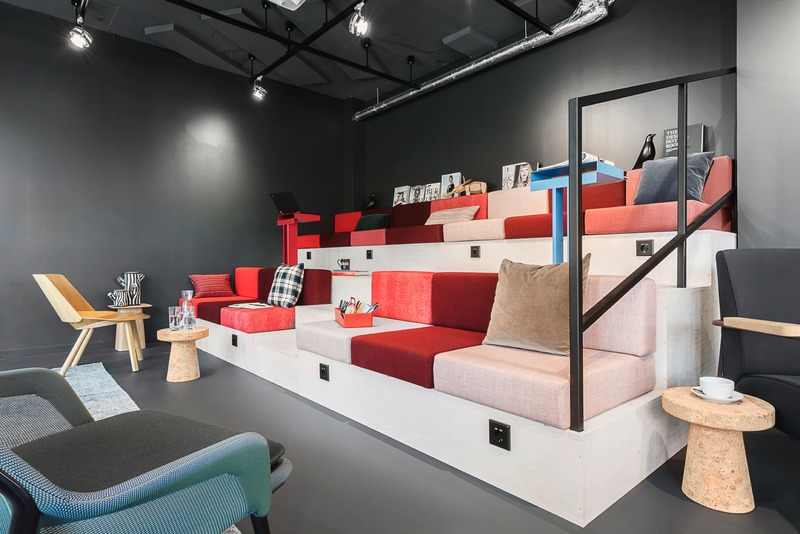 MAGAZINE: THE LATEST TRENDS CHANGING WORKSPACES | This is where I can be me. This is where I want to work. Find fresh inspiration or become an exhibitor: Hosted by corporate co-working company Design Offices in Cologne between 11 and 13 September, the “Future of Work Village” area at the Zukunft Personal Europe show presents cutting-edge approaches to the workplace of tomorrow. 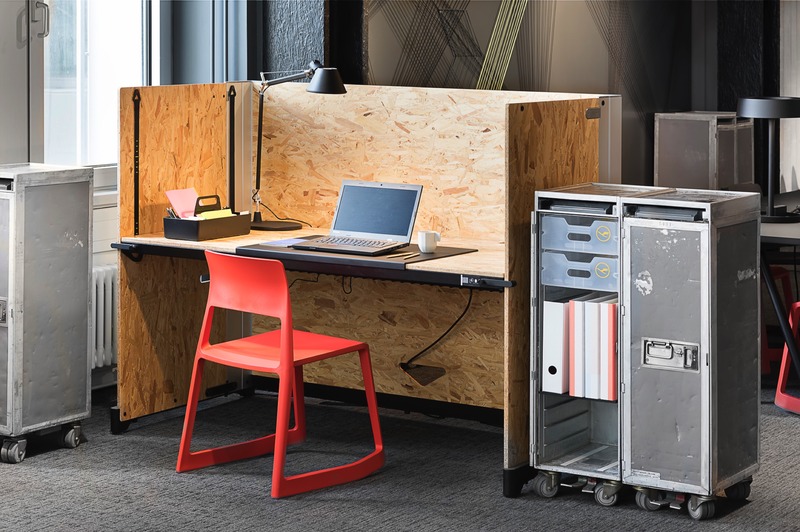 Want to experience the latest trends in the world of workspace design, or exhibit a ground-breaking solution that shows what’s possible today? Then this enticingly innovative show is for you. What kinds of workspaces are good for us — and for our work? While the fundamental answers seem to be common knowledge, they’re often implemented half-heartedly, if at all. It’s a bit like the introduction of the light bulb. In November 1879, Thomas Edison applied for a patent for his “electric lamp”. But it took decades for the light bulb to spread across the USA and Europe. For years, psychologists and sociologists have been inundating us with research answering one central question: In what work environment can we work most creatively and productively? Despite the dazzling variety of approaches and concepts on the market today, the answer is often simple, yet at the same time multi-faceted: It’s where we feel at ease and valued, where we influence how and when we work, where we feel that we are welcome as human beings in all our aspects. It’s where we aren’t just seen as productive human capital. Yet while we’re all in agreement about the fundamentals, the Future of Work Village showcases a thrillingly diverse array of interpretations. Across 2,500 m² of floor space, 30 pioneering companies from the New Work arena present advanced solutions in the areas of mobility, digital transformations and work/life balance. All the while addressing one overarching issue: What can we do to help employees to maximize their productive potential? Created by Design Offices, the Future of Work Village presents daily keynote speakers and six guided tours, providing visitors with deeper insights into the work world of the future. If that all sounds dry and theoretical, don’t worry. This show is the exact opposite. In the same way people everywhere are seeking to resolve the classical opposition between work and personal life, so the dividing line between information and delight is deliberately blurred here. To prove a point, the show hosts GINTasting sessions accompanied by the mellow beats of DJ Lars Larsen. The Happy:ning events scheduled for each day meld agile work models and everyday workplace environments with a music festival atmosphere where exhibitors present innovative ideas and tools for the office of tomorrow. As a partner for the Future of Work show, we’re giving away a limited number of promotional tickets free of charge. To apply for your free ticket, send us an email at office@officeinspiration.com. Or sign up as an exhibitor and present your innovative New Work solutions at the Zukunft Personal Europe, profiting from the show’s high-value image and the extensive media coverage. A few exhibitor spaces are still available in the Future of Work Village — introduce show visitors to your ideas! Late or even last-minute bookings are not a problem, thanks to the high-quality modular booth stands available to all exhibitors. Click here to explore the event schedule and exhibitor list. The Future of Work Village is curated by Design Offices. Photos are exemplary and show possible working environments that New Work Space Partner Design Offices provided for visitors and exhibitors at the Zukunft Personal Europe in Hall 2.1.